We would love the opportunity to serve you family! Find out how even "general" dentistry is better at All Smiles! Find out what a premier cosmetic dentist can do for your smile! Boast your confidence and find a new reason to smile! Orthodontics have come a long way! Straight teeth and a new smile are a lot closer than you might think! Wouldn't it be great to get your dental work done all at the same time? How about doing it while relaxing? Welcome to sedation dentistry! Implants are the ideal solution to tooth loss. Implants look and act like real teeth! Living with pain? Don't wait any longer to discover the ways that the All Smiles team can help! Want a dentist in Westminster, MD that works not only for you, but for your whole family too? All Smiles Care would love to help! There are lots of things that differentiate our practice from others and our technology is one of them. At the end of the day, its about our team and people that make all the difference to each visit. Come and meet our fantastic team! Join the scores of guests that have found the dentist ranked “Carroll’s Best” for 7 years and counting! If you want to know why to choose All Smiles, just ask our guests! We have payment options that make dentistry easy and affordable. Our team will work with you to help find a plan that works for your family and budget. We believe our guests deserve a comfortable and relaxing environment when they come to the dentist. From the moment you walk in, you will see this! Dr. Gary Imm is an exceptional dentist, with over 30 years of dental care experience. His advanced training and dedication to personalized care, has made him a well-recognized dentist in the Westminster, MD area. Along with practicing general family dentistry, Dr. Imm is also certified in several advanced dental procedures. He specializes in orthodontics, implants, sedation, TMJ solutions, cosmetic dentistry, and more. Together we will work to develop a plan just for you. We always ask permission to proceed with anything, even the examination. You always know what we are going to do before anything is started. Our job is to explain to you the very best that modern dentistry has to offer. When you experience a broken, chipped, or fractured tooth, come in for treatment as soon as possible. When postponed, your tooth could become infected, possibly causing tooth loss. When you’re in pain, please seek help immediately. A dental crown could be great solution for significant tooth damage. Learn more about dental crowns from Dr. Gary Imm. After losing a tooth or multiple teeth, it’s often challenging to decide what to do. Fortunately, there are several options available like bridges, partial dentures, or dental implants. By far, dental implants are the most preferred option, as they do not affect adjacent teeth, yet look, feel, and function just as natural teeth. Learn more about dental implants from Dr. Gary Imm. 8 out of 10 adults in the U.S. have some form of periodontal (gum) disease. Known as the “hidden disease” or “the silent epidemic”, it’s not easy for the untrained eye to see bacteria hidden below the gums, but the problems it can bring can can have serious impacts on both your oral health and your overall health. Learn more about gum disease from Dr. Gary Imm. When most people think of orthodontics, they think of a long, tiresome process involving braces, headgear and other awkward, clumsy devices, but, today, there are a number of orthodontic options which are more effective, faster and much less visible than the traditional methods. Learn more about teeth straightening. 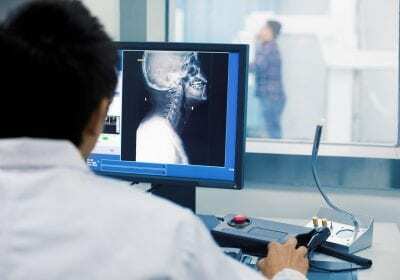 It could be you have experienced tingling and numbness in your fingers and arms, chronic jaw, ear, neck, back or shoulder pain and additionally suffered for years from debilitating headaches and/or migraines. Discover All Smiles Care’s solution to correct your bite and reduce (or even eliminate) your (TMJ) migraines and headaches. A great smile provides confidence, openness and attractiveness. If you frequently hide your smile, you aren’t representing the person you know is hidden inside. Thanks to great improvements in cosmetic dentistry, you can considerably improve your smile with fast, painless and affordable treatments. Learn more about smile makeovers. Dental fear affects 1 in 4 people. It is a major stumbling block for many people. 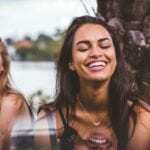 Individuals that are otherwise clever and rational people often jeopardize their health because of the anxiety and fear built around a trip to the dentist. Today, there’s simply no reason to experience dental pain or anxiety anymore. Experience sedation dentistry with All Smiles Care. Having healthy teeth and gums should be a habit that everyone learns at a young age. 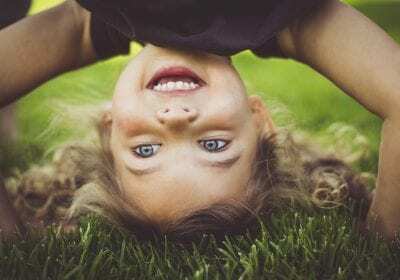 Our Pediatric Dentistry service teaches these habits to little ones in a safe and fun way so they know how the best ways to keep their teeth clean well into adulthood. We understand that dental emergencies happen. When they do, we are available to fix your issue so you can get back to having a happy, healthy mouth. Whether you’re a current or new patient, we can treat your dental emergency quickly and effectively. Dr. Imm’s office is wonderful and Dr. Imm is just a great person. I knew his reputation and that he is experienced and up-to-date on dental techniques. He makes you feel at home and takes a special interest in you and your needs. The whole staff is very personal, they remember the little things about you that make you feel comfortable. I am so happy with the results and the experience – I’d do it all again. All Smiles makes going to the dentist enjoyable! From the moment you walk in the door, everyone is welcoming. All treatments are thoroughly explained, and each member of the team truly cares about you. In addition to providing such personal care, the office is always on top of best practices and cutting edge dental technology to keep your dental care as easy and pain-free as possible. People comment all the time on how nice my smile is, even those who don’t know what happened to me. The whole team is friendly and welcoming. Around here, if you want ‘top notch’ dentistry, Dr. Imm’s office is the place to go. Have a problem that can’t wait? Call our emergency number to get a quick response for your dental emergency! It’s easy to make an appointment. Don’t hesitate to reach out! You can always call our team at 410-876-2096 to make an appointment. Or simple click the “make an appointment” link below to fill out a form and our team will get back to you! All Smiles Care is a your trusted dentist in Westminster, MD. Dr. Gary Imm has been caring for Carroll County families for over three decades and has regularly been voted “Carroll’s Best Dentist”. We offer general, implant, cosmetic, sedation, orthodontics, family and emergency dentist services in the Westminster area. All Smiles Care is dedicated to providing Westminster dental services based on your needs. Our goal is to provide you with pain-free services that can help improve both your smile and self-esteem. Our dentists will be there to help you every step of the way, from creating a plan to improving your smile in a comfortable environment. Please contact us today to speak with one of our experienced Westminster dentists. 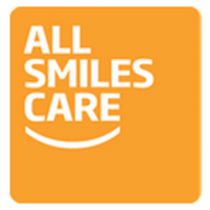 All Smiles Care also serves the areas of Alto Vista, Autumn Ridge, Avondale Run, Avondale Ridge, Pleasant Valley, New Windsor, Aspen Run and Wellwood.